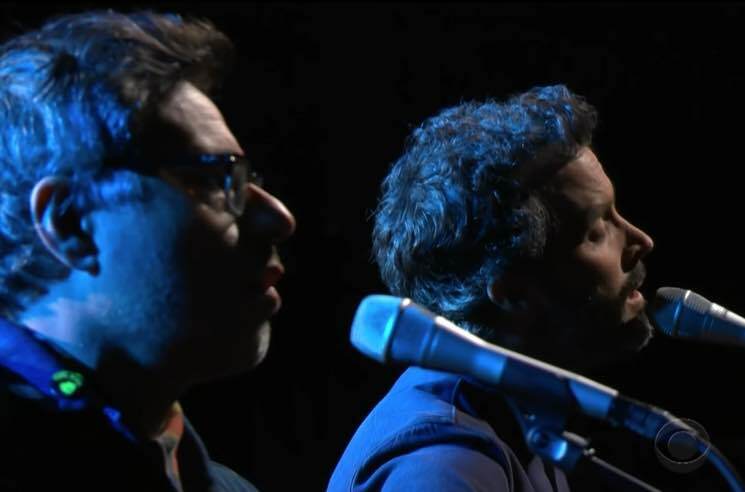 Flight of the Conchords return with their new HBO special next month, but the New Zealand duo aren't making fans wait that long for new material. They debuted a brand new song on The Late Show with Stephen Colbert last night (September 24). The pair joined the late-night host for an interview, explaining what they've been up to since Flight of the Conchords the show ended in 2009. The talk segment is funny enough, but the real gold arrived when the pair performed a brand new song called "Father and Son." It tells the tale of an unusual father-son relationship, and it proves that the dudes haven't lost their twisted sense of humour since becoming fathers themselves. Watch the interview and performance below. Flight of the Conchords: Live at the London Apollo airs October 6 at 10 p.m. EDT.